Son Lux's Cage of Bones video won the One Talent TV Award at the Sulmona International Film Festival in Italy. 4 October 2016 - No Comments! I'm really proud to be nominated for Best Director Award at this year's Ibiza Music Video Festival with Son Lux's Cage of Bones promo on the 14 and 15th October 2016. Feel free to experience it live if you are around. It's also selected at the Sulmona International Film Festival in Italy on the 3 to 6th November 2016. 19 September 2016 - No Comments! Great News ! Son Lux's Cage of Bones music video won Best Art Direction award at Austin Music Video Festival. It is also in the official selection of Top Shorts 2017 and the Festival International du Film Francophone de Namur. 23 June 2016 - No Comments! 27 May 2016 - No Comments! 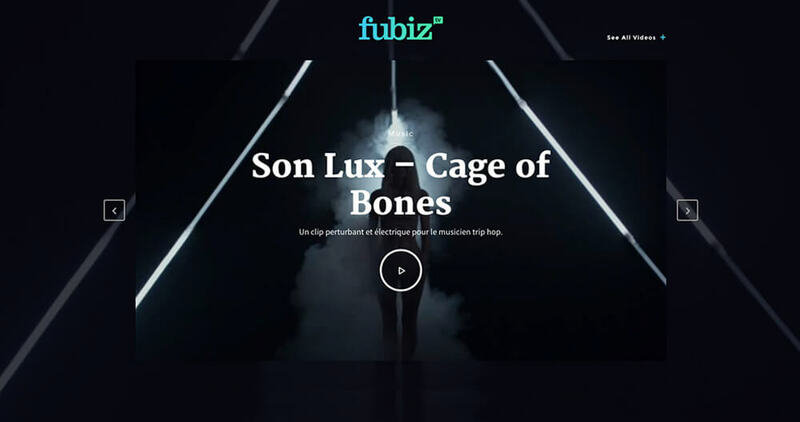 Great to see Son Lux's Cage of Bones Music Video on Fubiz !! 25 May 2016 - No Comments! 20 May 2016 - No Comments! Son Lux is one of my favorite bands out there and when they got in touch with me to design the artwork for their new EP "Stranger Forms" and asked me to create the music video for their new song "Cage of Bones" based on my OFFF // You Are The Canvas shortfilm, I just couldn't say no.